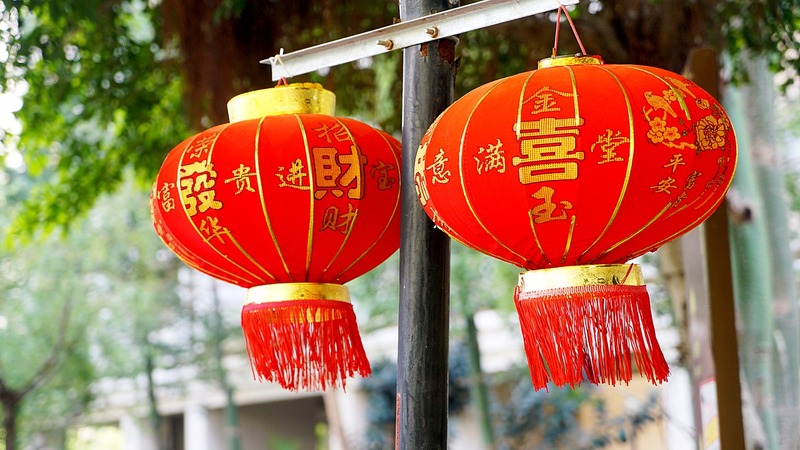 There are just a few days left in the official two weeks of Chinese New Year! 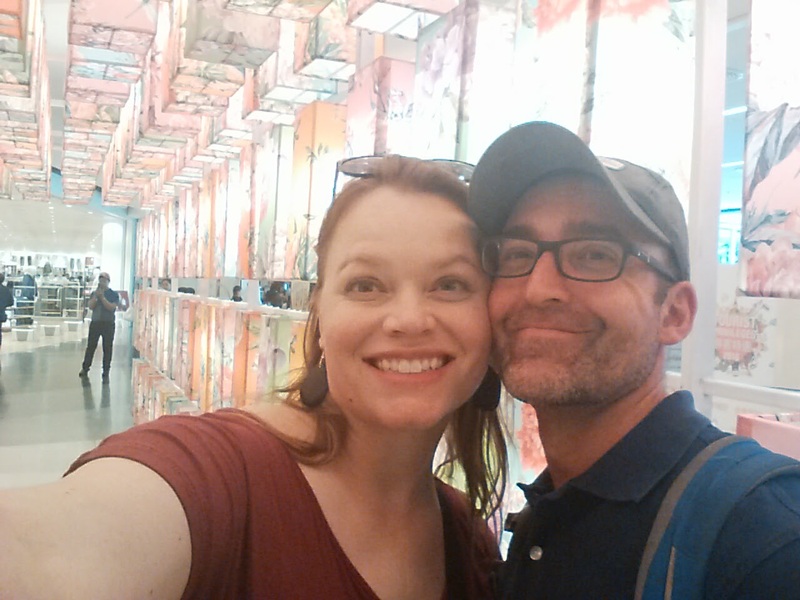 Our family happened to be traveling through Kuala Lumpur, Malaysia and parts of Thailand in the days leading up to Chuxi (New Year’s Eve). 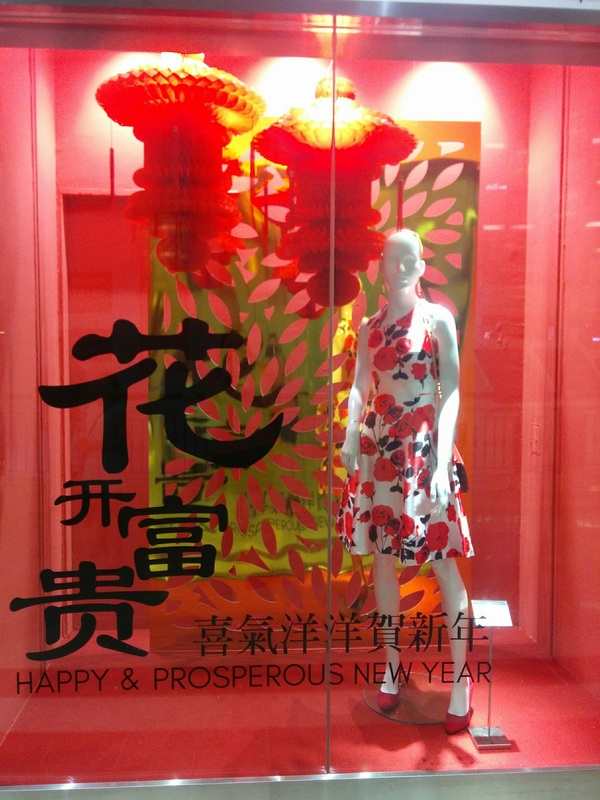 It seems that retailers are embracing CNY big time as more and more Chinese tourists use their long winter break to travel abroad. 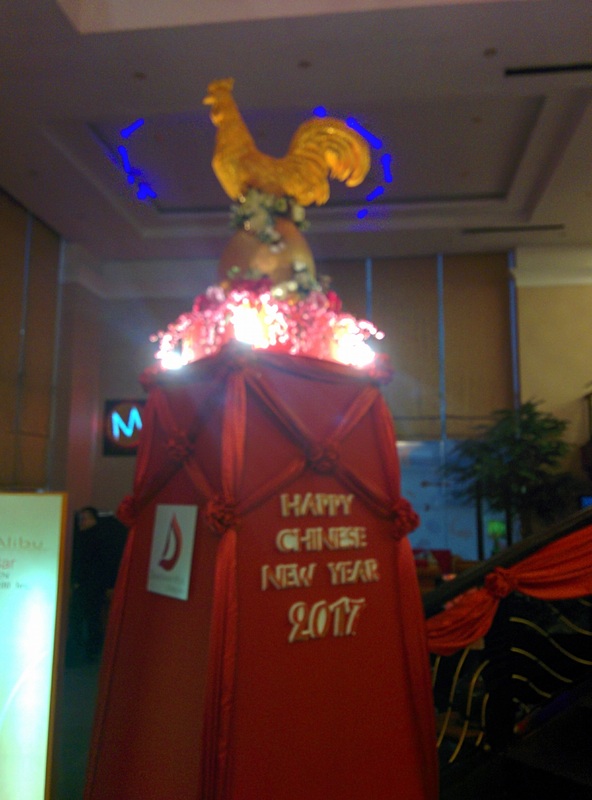 In our travels this year, we saw plenty of shops, restaurants, and tourist attractions heavily decorated to welcome the Year of the Rooster/Chicken. 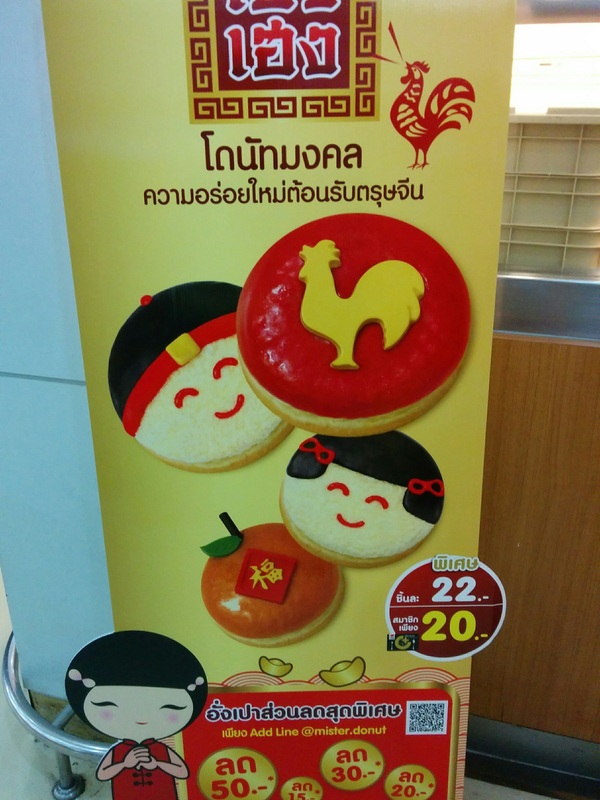 It’s true that Malaysia and Thailand have both had ethnically Chinese populations for a very long time, but the ads, sales, and displays we saw seemed to be aimed more at the mainland tourists than at local residents. (If you have insight into that, please let me know!) 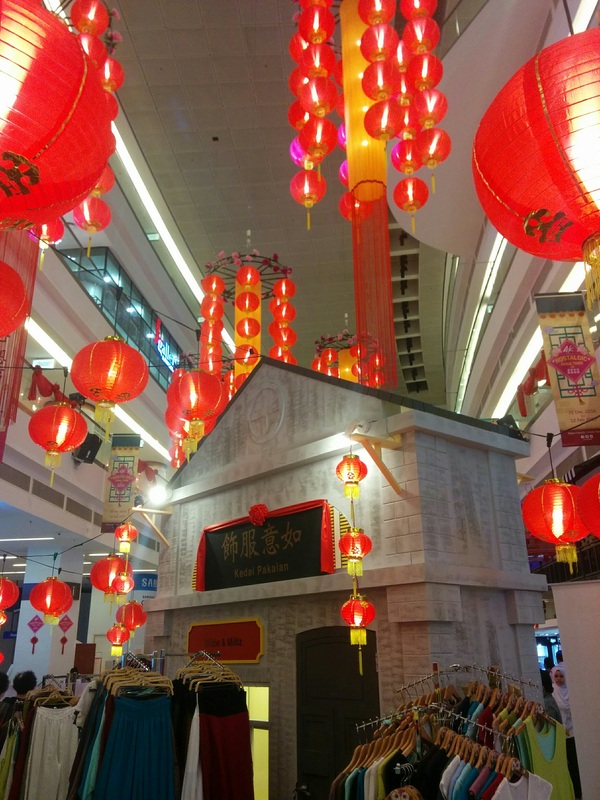 No matter where we went, there were red lanterns and nice banners to wish us a Happy New Year, which kind of made it seem a whole lot like being in China. 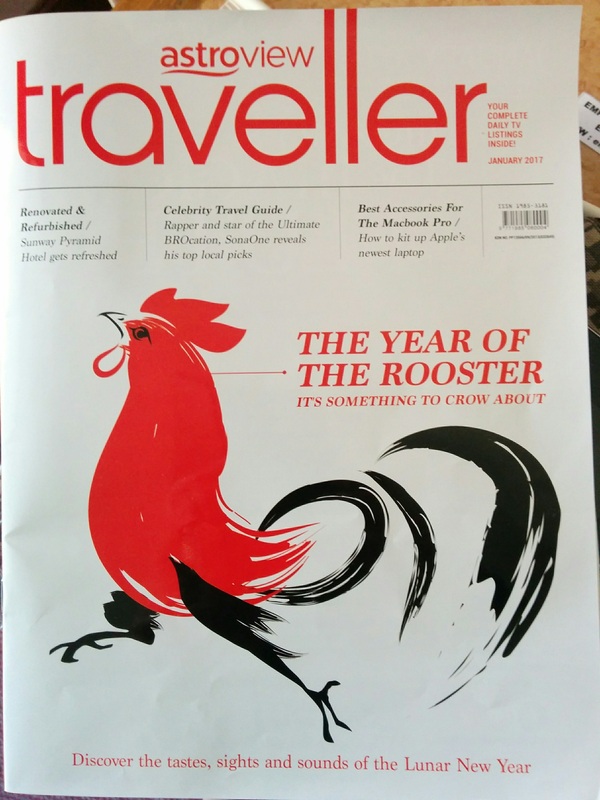 For starters, every flight we were on featured a “Year of the Rooster” edition of the in-flight magazine. Same with one of the in-room travel magazines at a hotel. 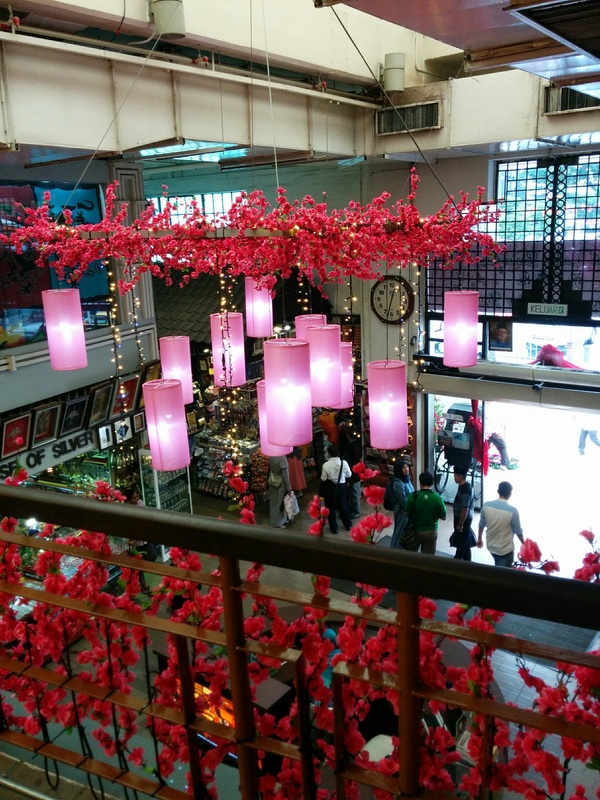 Kuala Lumpur’s famous Central Market featured some New Year’s wishes and decorations at the main entrance. 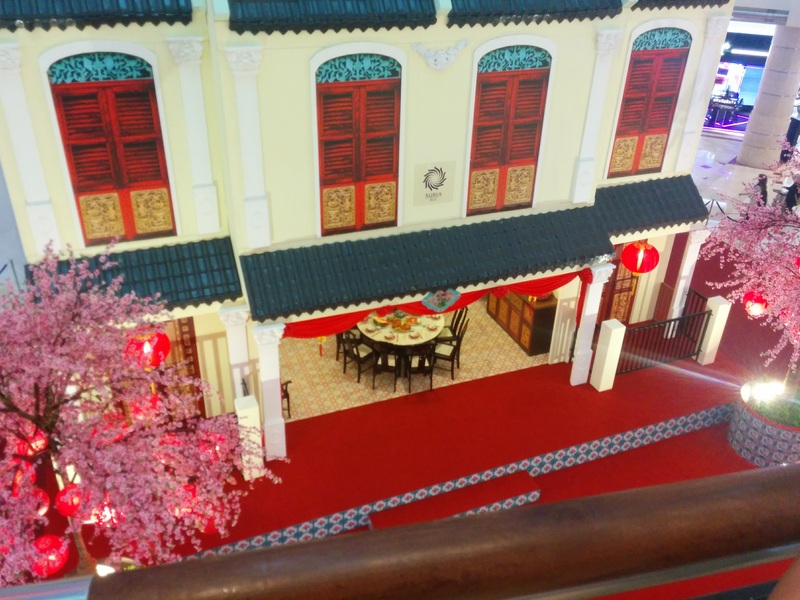 Both the mall at the base of Petronas Twin Towers as well as the one across the street from this famous landmark had elaborate CNY displays that included temporary buildings and real furniture. This was posted outside a convenience store. Aw, thank you, convenience store! 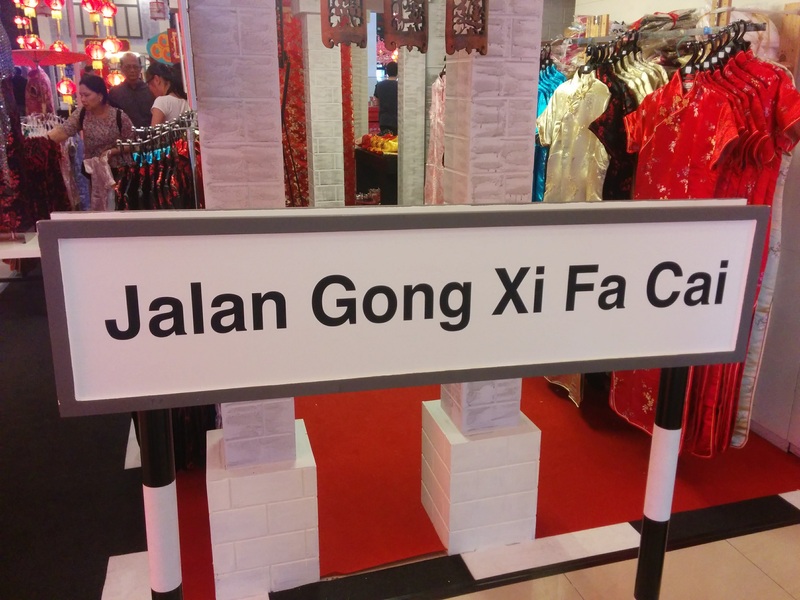 Selamat Tahun Baru Cina to you, too! 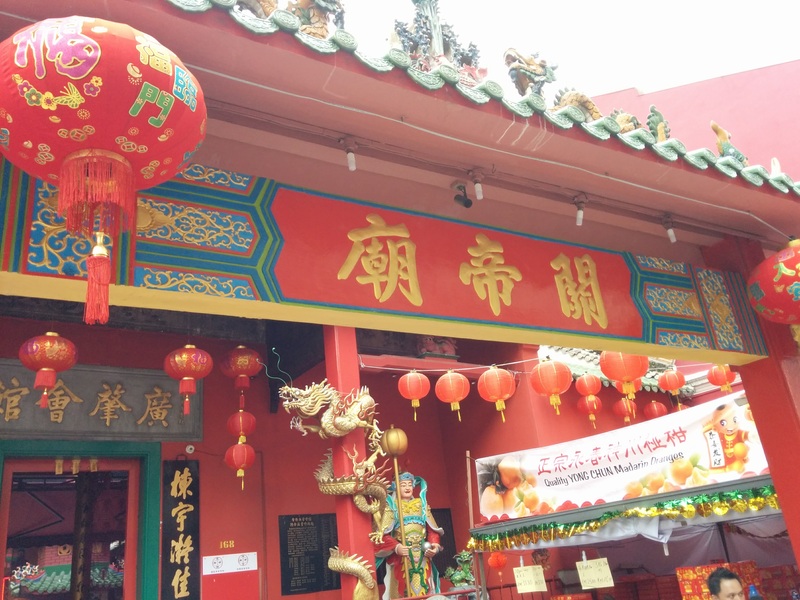 And of course, the Chinese temple in KL was decked out with extra lanterns and red, red, red. There was a big booth set up in the courtyard to sell juzi (mandarin oranges). Apparently, it’s a thing to go buy your New Year’s juzi at the temple rather than the grocery store. 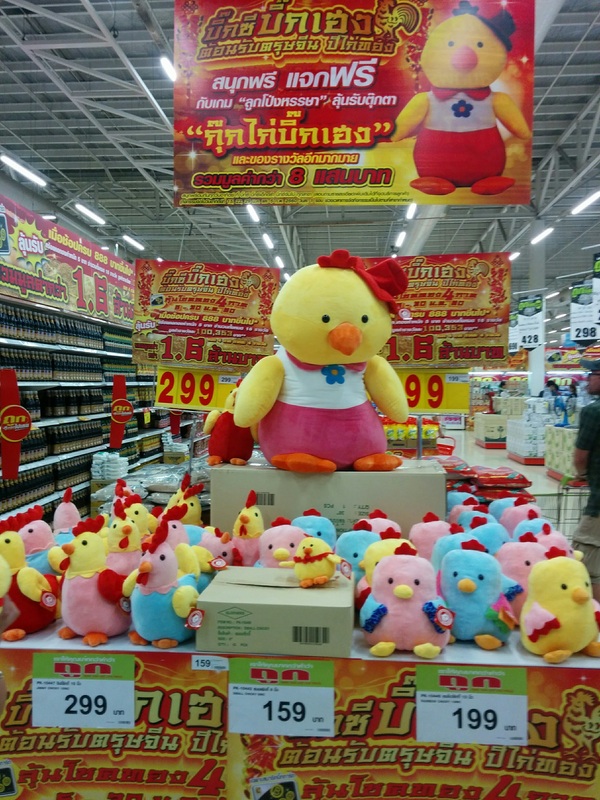 Once we got to Thailand, we were surprised by the amount of CNY stuff for sale in the big-box retailer we visited. Lots of stuffed chickens for the whole family. Who doesn’t need a stuffed chicken in their life? And racks and racks of apparel, like this shirt. 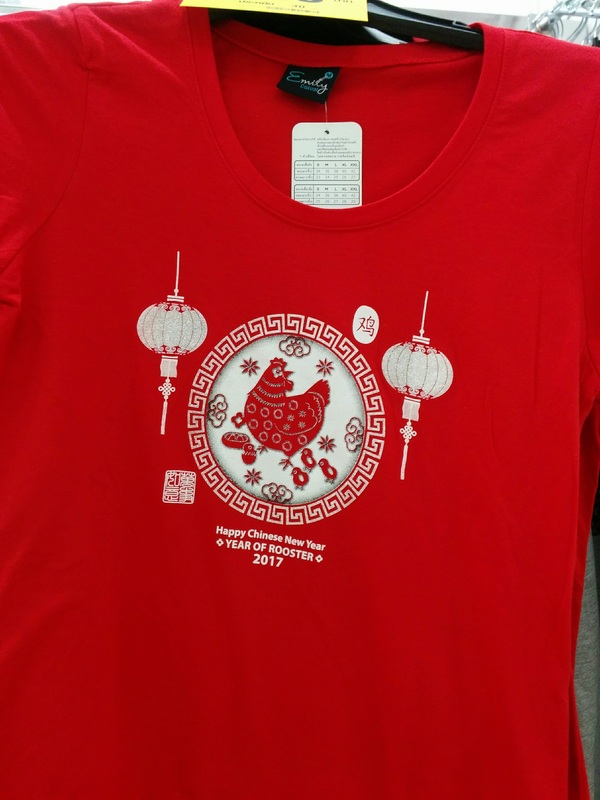 Confession: I actually bought Year of the Rooster T-shirts for my family on Taobao before we left on this trip, but I guess I could have just picked some up in Thailand. I mean, it’s even “EMILY” brand. Ugh, so many regrets. 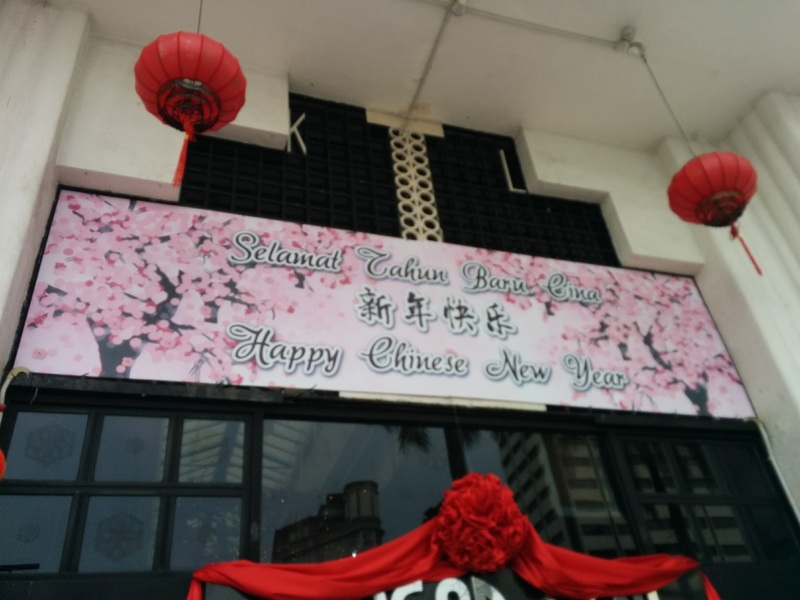 Hotels had banners or other decorations to welcome the legions of Chinese tourists pouring in for a holiday. And the malls were doing their part to be festive. 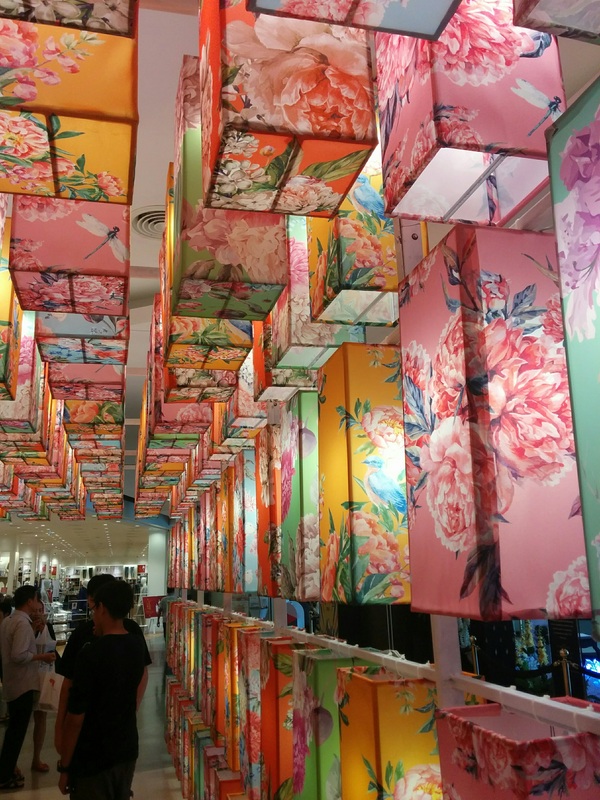 This corridor of pastel, floral lanterns was a beautiful touch. It was a very popular place for tourists from China to take selfies. 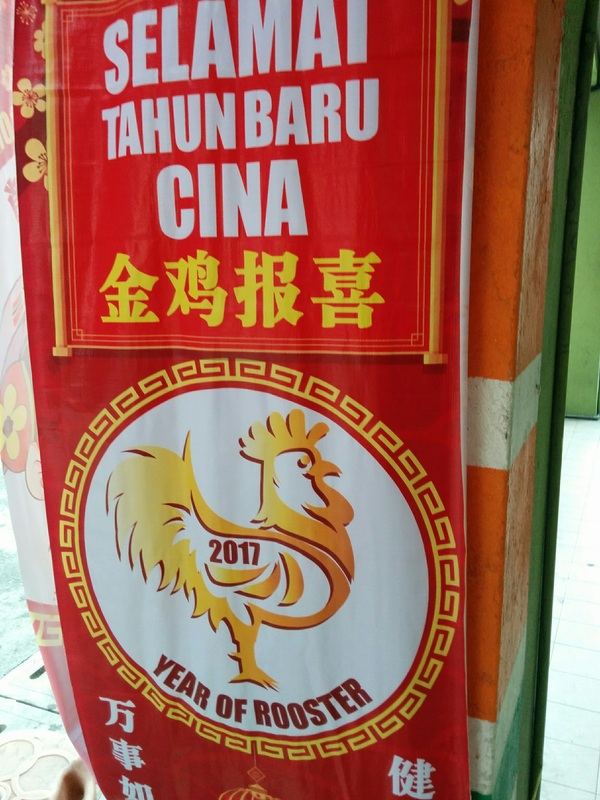 You know who else wants to celebrate CNY in Thailand? Mister Donut! I am so ready to party with you, Mr. D. I’ll take a dozen of those adorable, artifically colored delights, kap kun ka! That’s just a taste (hardy har har) of all the fun things we saw that helped set the mood for the Year of the Rooster in Malaysia and Thailand. 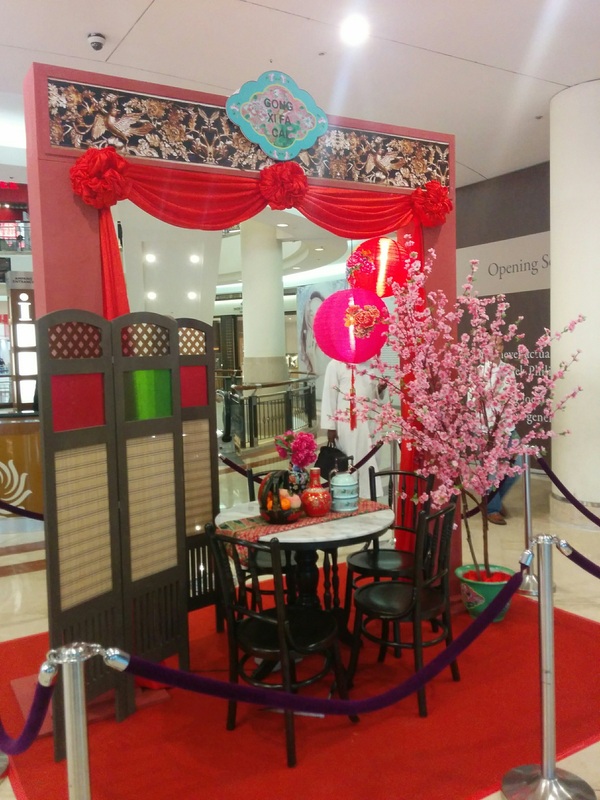 Decorating for Chinese New Year is certainly not limited to just the Big Chicken. What did things look like in your neck of the global woods? Like what you've been reading? Sign up for more great posts!